Libya’s biggest oil terminal, which previously loaded about 450,000 barrels a day, has been damaged during fighting. According to Reuters, black smoke was seen billowing out of a tank situated at the Es-Sider oil terminal and a witness said it was believed to have been hit by a rocket. 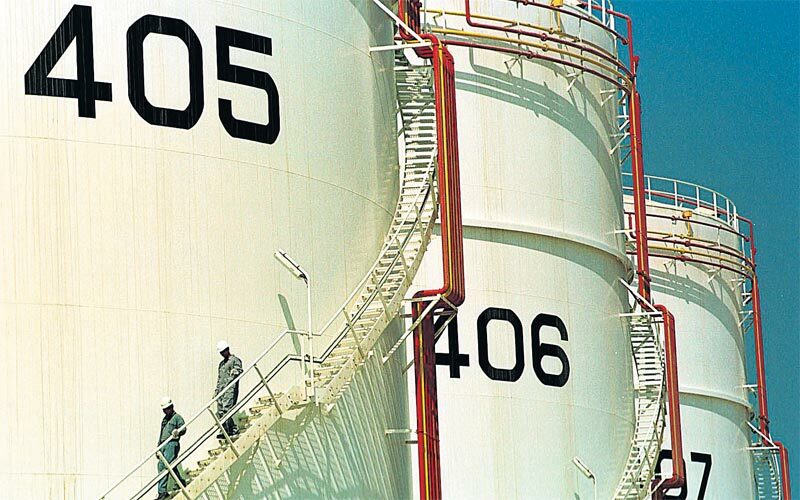 The storage facility, which holds about 6.3 million barrels, did not have anyone working on the premises at the time. Most of the oil stored comes from the Sirte Basin containing fields which are operated by Total and Eni. The fire was thought to have burned for a few days and after Gaddafi's forces withdrew from Tripoli last week it is uncertain as to when the terminal will be in operation once again. Storage and refining facilities across the US are beginning to reopen after storm surges and heavy rains, caused by Hurricane Irene, hit the Atlantic coast over the weekend. The bad weather has affected the Sunoco tank farm, which stores oil, as floods swept through the 335,000 barrel-a-day refinery and closed the crude distillation unit in Philadelphia. The company is yet to confirm whether it has reopened. ConocoPhillips has brought its 185,000 barrel-a-day refinery, situated in Trainer, Pennsylvania, back into operation; and its 238,000 barrel-a-day refinery in New Jersey is also attempting to commence activity again. However some operations at this refinery might have been affected because of flooding. The Kinder Morgan pipeline along the eastern coast was also affected when the storm caused power cuts to the area although work was carried out on the pipeline, which transports 600,000 barrels a day between Greensboro, North Carolina and Washington, so it is now back in operation. Kinder Morgan has also reopened its terminal in Perth Amboy, New Jersey, and its terminal on Staten Island in New York. However, the terminal in Carteret is still out of operation because of damage caused by the storms, Nasdaq reported. 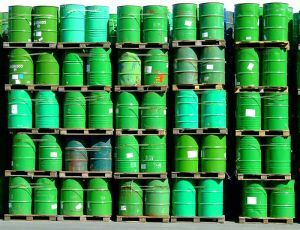 Has Peak Oil Come To The Non-Opec World? Maybe. The world’s biggest oil companies put in a pretty pathetic performance in the second quarter of 2011. Not in terms of earnings — those were great, with Exxon posting $10.7 billion and Royal Dutch Shell doing $8 billion. Just what you’d expect with Brent crude at a lofty $120 a barrel. Where the results were disappointing was in the barrels. Of the 16 big U.S. and European oil companies studied by Deutsche Bank analyst Paul Sankey, 14 of them saw their production of petroleum decline in the quarter. Collectively, the drop amounted to 12% of total liquids volumes, or 1.2 million bpd. Their average output for the quarter totalled, 14.67 million bpd. Even excluding the effect of Libya’s issues, the decline was 8%. The situation didn’t get much better when Sankey looked at other big non-OPEC producers. Brazil’s supposed growth engine Petrobras was down a touch, as were Russia’s Lukoil and TNK-BP and China’s Sinopec. Rosneft (2.2 million bpd) and PetroChina (2.4 million bpd) did eke out gains of 2% and 4%. OPEC volumes, by contrast, were up 2% in the quarter, figures Sankey. The supermajors are finding it harder and harder to pry away the remaining megaprojects from state-run oil companies. Of the biggest OPEC members like Saudi Arabia, Iran, Venezuela and Iraq, only the latter is eager to bring in the majors to help develop reserves. Add in the fact that natural decline rates on big fields average 5% a year, and it will become ever harder for Big Oil to stay big. Christophe de Margerie, the pragmatic chief executive of French giant Total, believes that global peak oil will hit within five years (see my story on Total: “High Friends In Low Places”). The bigs are finding some growth from newly developed natural gas resources. Indeed, when you factor in gas production, Exxon’s total volumes were up 10% in the second quarter — thanks to the ramp up of its megaproject in Qatar (See my cover story: “ExxonMobil — Green Company Of The Year”). But gas sells for barely a third of oil on an energy equivalent basis. There were some outliers. BP had the biggest plunge, down 10% or 250,000 bpd due to the effect of selling off assets in the wake of the oil spill. Spain’s Repsol was down 15%, with Hess Corp. off 10%. So what will it mean for the oil market when only OPEC can meet oil demand, especially considering that China and India’s oil needs are ramping from such a tiny per capita base? “It seems very clear that higher and highly volatile oil prices will be a necessary fact of future oil markets,” writes Sankey. What’s an investor to do? Buy oil companies of course, especially those that show any likelihood of boosting oil output. The only big one likely to do that this year, Occidental Petroleum, trades at 10 times expected 2011 earnings. Sankey also rates Canadian Natural Resources a buy, expecting eventual growth from its oil sands operations. Another idea (mine, not Sankey’s) — buy the bigger independents like Anadarko Petroleum, Apache Corp., EOG Resources, which have real growth potential and will likely become meals for the growth-starved majors in the years ahead. Letter writer Cindy Schild, a spokeswoman for the American Petroleum Institute, claims the Keystone XL pipeline to bring crude oil from Canada is needed to create jobs ("Keystone XL pipeline is a step toward the future", Aug. 22). Environmental effects aside, this misses the larger point. After the short-term stimulus provided by construction of the pipeline, the project locks the U.S. into a long-term dependency on Canadian crude. We will have sent a negative signal to our domestic renewable energy markets while American energy dollars continue to leak abroad. The Keystone XL Pipeline, designed to pump unrefined oil tar sands from Alberta to Texas, won a critical victory recently when the U.S. State Department concluded the project posed "no significant impacts" to the environment. That conclusion was horribly misaligned with reality. TransCanada, a Calgary firm, intends its XL to move over 500,000 highly pressurized barrels per day through what it calls "the safest pipeline in North America" — faint praise for a company whose existing Keystone pipeline has spilled 12 times in one year. Even more dangerous, however, is the resource-intensive extraction process. The EPA estimates carbon emissions from tar sand extraction to be 80 percent greater than average crude. Instead of striving for a future of crisp, clean, green American energy, the federal government seems desperate to prolong our addiction to finite, filthy foreign fuels, and tar sands are perhaps the dirtiest of all. Their penetration through the American heartland should be staunchly opposed. Output from the Jubilee field off the coast of Ghana has helped Tullow Oil generate record revenues. Tullow Oil has provided one of this year’s most successful Anglo-African trade arrangements. The British company has announced record half year profits ­- a massive jump to $330m from $89m in the same period last year - and doubled its dividend to shareholders on the strength of its business in Africa. And in a further boost to shareholders it has revealed that it is set to finally complete a deal in September with Total and Chinese National Offshore Oil Company (CNOON) for oil production in Uganda. Chief executive Aidan Heavey said: "We have delivered a strong performance and achieved record results in the first half allowing us to double the dividend. “We continue to make good progress with production plans in both Ghana and Uganda, and while delays to the farm-down to CNOOC and Total have been frustrating, we now expect completion in September. “With a strong balance sheet, growing production and a potentially transformational drilling campaign to come, we move into the second half of the year with real confidence." Tullow’s record sales results of over £1bn were driven by increased production from the Jubilee field in Ghana and higher commodity prices. Exploration and appraisal success continued and the group strengthened its portfolio with farm-ins in East Africa and two strategic acquisitions, and in July the group listed Tullow Oil plc shares on the Ghana Stock Exchange following a $72.3m offer. The company said that it had seen a 71 per cent exploration and appraisal success for the year with the completion of farm-ins to six blocks in Kenya and Ethiopia and the first well to spud in Kenya. Jubilee production in Ghana is expected to increase to 105,000 barrels of oil a day (bopd) in October, and a plateau production of 120,000 bopd is now expected before the end of the year. 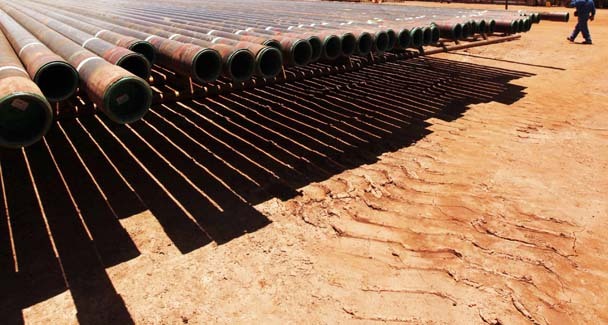 The $2.9bn sale and purchase agreements signed with the Ugandan government for the farm-down to CNOOC and Total to develop the country’s oil reserves in the Lake Albert basin is now expected to be completed in September. The company said it anticipates spending up to $10bn in developing the field, especially on construction of a refinery and a pipeline to the East African coast, as it expects to produce around 20,000 barrels per day for the local market by 2015. The Africa-focused explorer said it expected to release drilling results from its highly anticipated exploration campaign in offshore French Guiana in September. Off the coast of West Africa, Tullow has interests in 10 blocks across Sierra Leone, Liberia, Ivory Coast and Ghana. In May, Tullow broadened its North Sea portfolio by snapping up Nuon Exploration and Production, a Netherlands-based North Sea oil and gas company, for €300m. CAIRO (AP) — Italian oil giant Eni SpA said Monday it signed a memorandum with Libya's rebels to restart a key natural gas pipeline and provide technical assessment of the country's oil infrastructure in hopes of quickly restarting its operations in the North African nation. The deal came as Eni's chief executive, Paolo Scaroni, was in Benghazi meeting with officials from the National Transitional Council, Libya's rebel government. Eni was the largest foreign producer in the country before the civil war broke out, and its operations, mirroring Libya's oil sector in general, ground to a halt because of the fighting. Under the terms of the deal, Eni and the NTC "are committed to creating the conditions for a rapid and complete recovery of Eni's activities in Libya and to doing all that is necessary to restart operations on the Greenstream pipeline," the company said in a statement. The roughly 310-mile (520-kilometer) pipeline can carry about 11 billion cubic meters per year of natural gas from Libya's coast to Sicily, but it has not been operational since late February. The deal reflects Rome's eagerness to re-enter the Libyan market and take stock of its billions of dollars in investments in the OPEC nation. Italy, Libya's former colonial master, was among the most visible in courting Gadhafi after sanctions were lifted almost a decade ago. Libyan investments in Italy included a stake in Eni and banking giant Unicredit. Before the protests against Gadhafi in mid-February morphed into a full-scale civil war, Eni was producing 273,000 barrels of oil equivalent per day in Libya, which sits atop Africa's largest proven reserves of conventional crude. With the rebels firmly in control of much of the country, including the capital, Tripoli, international recognition of their status as the country's rightful representatives has rolled in. 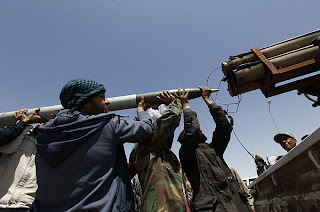 That has largely lifted the cloud of uncertainty companies endured in trying to deal with sanctions on Gadhafi's regime, frozen Libyan assets and, most troubling, the future under a rebel-led government for their investments in Libya. Italy earlier pledged to provide the Benghazi-based government with funds and technical assistance through Unicredit and Eni, and Monday's memorandum appeared to be another step in re-cementing the links between the two countries. Eni said in a statement that as part of an agreement signed between Rome and the NTC in late May, it would provide a supply of refined petroleum products to help the Libyan people deal with their current humanitarian challenges. The fighting has essentially dried up oil output in the country, which produced about 1.6 million barrels per day before the outbreak of fighting. With little to no crude flowing through the pipelines, refineries have largely halted operations, and fuel prices have spiked during widespread shortages. Since the war began, the rebels have managed to export a single cargo of crude oil, and analysts are divided on how long it will take to get crude flowing again at significant levels in the country. While the rebels said it could come within a matter of weeks, some experts and companies, including Eni, believe it could take up to a year to get output back to prewar levels. In large part, the timeframe hinges on how much damage the infrastructure and the fields have sustained. Some refineries were damaged, and there are concerns that the fields were not capped properly as foreign workers who provide much of the technical know-how and labor fled the fighting. Eni said it will provide technical assistance to assess the condition of the facilities and oil infrastructure in the country, and "to define the type and extent of operations required to safely restart operations." (Bloomberg) -- Two Indian refiners skipped crude purchases after Royal Dutch Shell Plc said "pipeline incidents" forced it to suspend some Nigerian crude export obligations, driving up prices, according to four traders who participate in the market. Mangalore Refinery & Petrochemicals Ltd., a unit of India's largest explorer, and Bharat Petroleum Corp., the country's second-largest state-run oil refiner, canceled tenders seeking crude for October because offers were too high, said the traders who declined to be identified because they aren't authorized to speak with the media. Two calls made to Mangalore Refinery's headquarters in southern India weren't answered. A call to Mumbai-based Bharat Petroleum's media relations department also wasn't returned. Shell's Nigerian unit declared force majeure on its Bonny Light crude oil exports after "several pipeline incidents," the company said in an e-mailed statement Aug. 23. The force majeure, a legal clause that allows the company to miss scheduled deliveries for circumstances beyond its control, covers shipments for the rest of August through October, the company said. 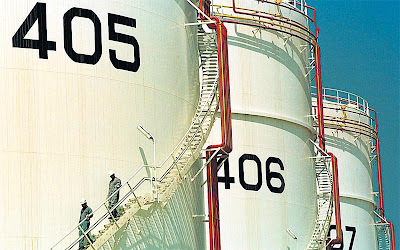 The premium of benchmark Nigerian Qua Iboe crude oil to Dated Brent has jumped more than $1 to $4.03 a barrel since the force majeure came into effect, according to data compiled by Bloomberg. Bonny Light's premium has widened 80 cents to $3.72 in the period, the Bloomberg data show. Asian oil refiners plan to reduce West African crude imports next month by 18 percent to 41 cargoes, nine fewer than August, according to a survey of seven traders involved in the transactions. TRENTON, N.J. -- New Jersey Gov. Chris Christie has recommended a one-year ban on a natural gas drilling process known as hydraulic fracturing or "fracking." The Legislature passed a bill in June to permanently ban the drilling. On Thursday, Christie sent it back with a conditional veto recommending that the ban be lifted next year. It's not clear whether the Legislature will sign off on the change. The measure is largely symbolic. Experts say there's not enough natural gas under New Jersey to drill for. In hydraulic fracturing, drillers pump water, sand and chemicals underground to create fissures in rock, freeing up natural gas. The federal government is studying whether fracking hurts water quality. Industry officials say it doesn't. Lagos — Oil production and exportation from the shores of Nigeria on Tuesday fell as Royal Dutch Shell shut-in production from its Adibawa delivery line in Bayelsa state. The biggest oil company, in terms of production, swiftly declared Force Majeure on Bonny light exports for the remainder of August, September and October. Force majeure is a legal term releasing a company from contractual obligations due to circumstances beyond their control. Bonny Light is a type of crude consume majorly in the United States (U.S) and China. The company stated this through its subsidiary in Nigeria, Shell Petroleum Development Company (SPDC). This action, the SPDC said, was a result of production deferment from several pipeline incidents in its eastern operations. A statement signed by Tony Okonedo noted that in one instance, SDPC recorded six separate oil spill incidents on the Okordia-Rumuekpe trunk line at Ikarama in Bayelsa state, between August 2 and 15 this year. "All (incidents) from hacksaw cuts by unknown persons," the company said. On August 21, according to Okonedo, another three hacksaw cuts were reported on the nearby Adibawa delivery line. "Some production is shut-in while SPDC repairs the line. Oil giant Shell on Tuesday warned it may not meet contractual obligations on certain exports from Nigeria after sabotage caused damage to two pipelines in the country's main oil-producing region. 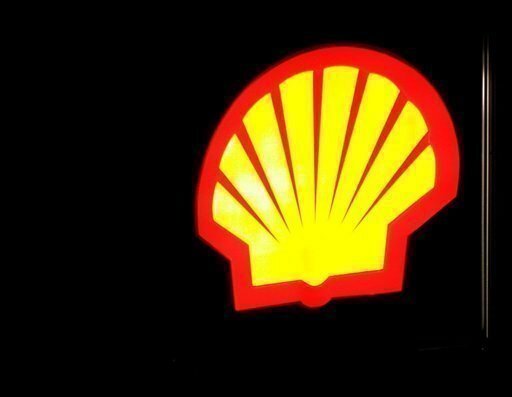 Shell's Nigerian joint venture "has declared force majeure on Bonny Light exports for the remainder of August as well as September and October," the company said in a statement. Nigeria is Africa's largest oil producer and the continent's most populous nation. Pipeline damage and associated spills are common in the Niger Delta region as a result of oil theft to feed the lucrative black market. Militants claiming to be fighting for a fairer distribution of oil revenue have also regularly blown up pipelines, though such attacks have decreased since a 2009 amnesty deal. Shell has said that more than 75 percent of all oil spills and more than 70 percent of oil spilled from its Nigerian joint venture facilities in the Niger Delta from 2006-2010 were caused by sabotage and crude theft. A UN report earlier this month said decades of oil pollution in the Ogoniland area of the Niger Delta, located in neighbouring Rivers state, may require the world's largest ever cleanup. 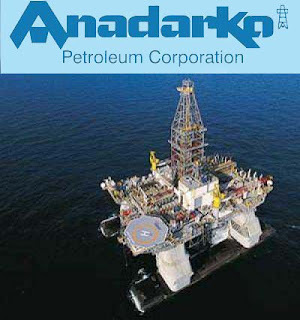 --Anadarko said discovery increases resources potential key block offshore Ghana. --Company's shares rose 1.42% to $69.80 in after-hours trading. HOUSTON (Dow Jones)--Anadarko Petroleum Corp. (APC) said Tuesday it has discovered light oil in a well offshore of Ghana, increasing the resource potential of an area in which the company has made other large discoveries. Houston-based Anadarko's Akasa-1 exploration well encountered high-quality oil on the West Cape Three Points Block, similar to that found in the Jubilee and Mahogany East areas, the company said in a press release. Samples recovered from the Akasa-1 well indicated oil of approximately 38 degrees API gravity, the company said. The discovery enhances "the resource potential of this prolific area," Anadarko Senior Vice President Bob Daniels said in prepared remarks. "After successful appraisal, we expect the Akasa discovery along with previous discoveries...to potentially anchor an additional development on the block," Daniels added. Anadarko's shares rose 1.42%, to $69.80 in after-hours trading. The well was drilled to a total depth of approximately 12,850 feet (3,920 meters) in approximately 3,800 feet of water. The company plans to preserve the Akasa-1 discovery well for future use and plans further delineation in the area with appraisal activity at both Akasa and Teak prospect, where Anadarko recently discovered oil. Anadarko has a 30.875% working interest in the West Cape Three Points Block. Other partners in the block include Kosmos Energy Ltd. (KOS), with 30.875%; Tullow Oil PLC (TLW.LN), which is the operator and has a 26.396% interest; Sabre Oil & Gas Holdings Ltd., with a 1.854% interest; and the Ghana National Petroleum Corporation, with 10% carried interest. 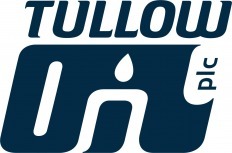 Tullow Oil Plc (TLW), a U.K. explorer with the most licenses in Africa, may invest at least $4 billion with its partners to develop oil fields offGhana’s Atlantic coast. Tullow, along with Anadarko Petroleum Corp. (APC) and Kosmos Energy Ltd., will begin engineering and design work for the Enyenra and Tweneboa fields in the Deep Water Tano block in September, Chief Operating Officer Paul McDade said. The partners, also including Ghana National Petroleum Corp., will study a plan to produce 75,000 to 125,000 barrels a day from the fields, with first oil pumped in early 2015. Tullow’s Jubilee field, the largest in Ghana, is expected to pump 105,000 barrels a day in October, up from about 85,000 barrels a day currently, the company said in a statement today. 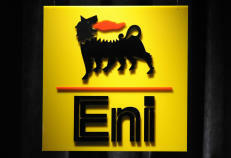 Explorers, including Eni SpA (ENI) of Italy and Russia’s OAO Lukoil, are searching for oil and gas in Ghanaian waters. The country has become one of the world’s top 50 oil producers since crude production began at Jubilee last year. Tullow, based in London, will also proceed with development of Ghana’s Teak, Mahogany Eastand Akasa discoveries in the West Cape Three Points Block after giving up a so-called acreage exploration license in the area, Exploration Director Angus McCoss said in an interview. “We’ve reached the end of the exploration license,” he said. “We’ve drilled the big prospects. 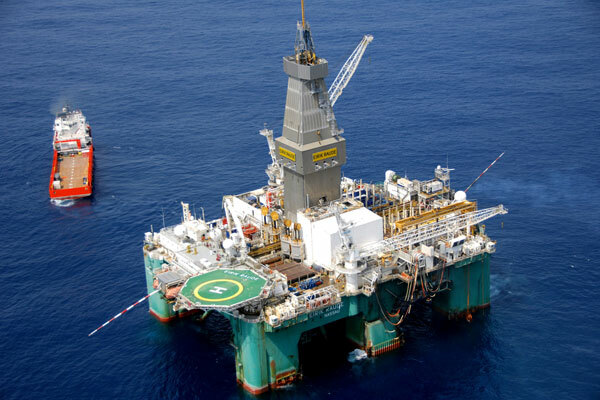 We do retain certain rights over the license, which we are pursuing.” Anadarko, Tullow’s partner in the West Cape Three Points Block, yesterday said the Akasa-1 well discovered high-quality oil reservoir. Tullow’s first-half net income more than tripled to $311.3 million as revenue reached $1.1 billion, it said today in the statement. It doubled an interim dividend to 4 pence a share. 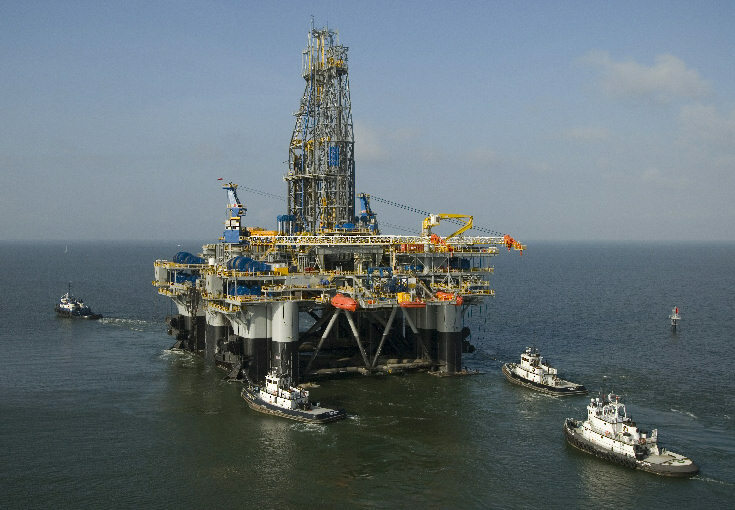 Tullow reduced its full-year production estimate to a range of 82,000 to 84,000 barrels a day after delays at Jubilee. The company is in talks with Ghana National Gas Co. over selling gas from the field within the country, “but we probably are still about 18 months plus away from having gas infrastructure in place,” McDade said. Tullow advanced 6.1 percent to 1,004 pence by 10:34 a.m. in London, the biggest gainer in the benchmark FTSE 100 index. The explorer delayed announcing drilling results from “the high-impact” Zaedyus well in French Guiana until September from August. The results from the Montserrado exploration well off Liberia are also scheduled for September, the company said. Tullow expects to complete the sale of its interests in three Ugandan exploration blocks to Total SA (FP) and China National Offshore Oil Corp. for $2.9 billion in September, it said today. The company agreed to set up the joint venture with Cnooc and Total in March to develop the Lake Albert Basin oil fields. The Federal Government has stated that the country produced 2.6million barrels of crude oil per day(bpd), about 640, 000barrels above the Organisation of Petroleum Exporting Countries (OPEC)’s 1.96mbpd quota because the country was still restoring the integrity of the pipelines, after years of militant attacks. Speaking at a Business Forum organised in Lagos by the Nigerian Gas Association (NGA), Chairman of Board of Governors of OPEC and Permanent Secretary for Ministry of Petroleum, Mr. Goni Mohammed Sheikh, said as a responsible member of OPEC, Nigeria was obliged to abide by the decision of the body. He however noted that years of destruction of oil and gas facilities in the Niger Delta had brought the integrity of the pipelines to question, necessitating the ongoing efforts to restore the integrity of the lines. He gave an assurance that once the integrity of the crude oil pipelines have been restored, the country would abide by OPEC’s official quota. “People ask us why we produce above our official quota and still claim to be a responsible member of OPEC. But our position is that because of militancy, the integrity of our infrastructure has been damaged. What we are doing right now is to restore the integrity and once we restore the integrity, we will go back to our official quota,” he said. He put the country’s current production at 2.6million bpd, with 670,000barrels per day coming from deep offshore fields. According to him, this figure was a significant improvement from the production of 1.3million bpd in 2008, attributing this success to the restoration of System 2C, which supplies crude oil to Warri and Kaduna refineries, and the amnesty programme introduced by the Federal Government. Sheikh said total crude oil reserve at the beginning of the year stood at 31.218 billion barrels of oil; 5.314 billion barrels of condensate and 182.816 trillion cubic feet of gas. Associated gas stands at 92.945 barrels, while non-associated gas is about 89.871barrels, he said. He stated that the current gas production is 6.8billion cubic feet per day (bcf/d), while 1.4bcf/d is flared. To achieve government’s target of growing reserves up to 40 billion barrels and increasing production to 4million bpd, Sheikh called for aggressive exploration programme. He noted that Bonga Southwest, Nsiko, Usan, Aparo, Bosi and Engina fields will come on stream between 2011 and 2014. Exxon Mobil Corp. (XOM)’s Nigerian unit is awaiting an arbitration ruling to end its dispute with the Nigerian National Petroleum Corp. over “entitlements to lift crude oil” from the Erha offshore field. Exxon, the world’s biggest company, sought arbitration in 2009 after talks with the Nigerian government and the state oil company, known as NNPC, had “been unsuccessful,” the statement said. There’s no specific date yet for the ruling, said Cookey- Gam. Levi Ajuonuma, a NNPC spokesman, declined to comment. The Erha field, located about 97 kilometers (60 miles) offshore Nigeria, started production in 2006 and has the capacity to pump about 190,000 barrels of crude a day. Exxon Mobil, operator of the field, holds a 56.25 percent interest and Shell Nigeria Exploration and Production Co., a local unit of Royal Dutch Shell Plc (RDSA), holds 43.75 percent. Nigeria, Africa’s top oil producer, is the fifth-biggest source of U.S. imports of the fuel. Shell, Exxon, Chevron Corp., Total SA and Eni SpA run joint ventures with state-owned NNPC, which pumps about 90 percent of the country’s crude. Gold Tops $1,900, Then Pulls Back .